The twelfth edition of the biggest international exhibition dedicated to scenography and theatre architecture Prague Quadrennial (PQ) will take place in June 2011, however, organizers are already busy preparing it. The PQ 2011 wants to introduce a large number of performance disciplines from theatre and visual arts to even larger audience than in 2007 when almost 30.000 visitors and 5.000 active participants visited the PQ 07. After more than 40 years of existence, the Prague Quadrennial International Exhibition of Scenography and Theatre Architecture is changing its name to the Prague Quadrennial of Performance Design and Space, with the goal of breaking down the often imaginary differences between the performance fields. “In the next edition we want to include a wider range of disciplines and genres connected to performance design and to observe current trends in contemporary performance,” explains Sodja Lotker, Artistic Director of the PQ. This is also the reason for widening the international team of curators and commissioners for each section and project. Boris Kudlička, Slovak stage designer, was appointed the General Commissioner of the PQ. The Prague Quadrennial will be traditionally divided in three main sections: the Section of Countries and Regions, the Architecture Section and the Student Section. “In these days we officially call for countries from all over the world to take part in all three sections and we announce the deadline for applications – 30th June 2009,” says Pavla Petrová, the Director of the PQ and the Arts and Theatre Institute. The event is focused on professionals and general public. The Prague Quadrennial is announced by the Ministry of Culture of the Czech Republic and it appoints the Arts and Theatre Institute to be the organizer. More information can be found at www.pq.cz. The Prague Quadrennial of Performance Design and Space is the largest event of its kind in the world – presenting contemporary work in a variety of performance design disciplines and genres – costume, stage, light, sound design, and theatre architecture for dance, opera, drama, site specific, multi-media performances, and performance art, etc. Every four years, since it’s establishing in 1967, the Prague Quadrennial has presented work from more than seventy countries, from five continents, in individual countries’ expositions in three competitive sections. The Golden Triga is awarded for the best exposition as well as gold medals. The largest part of the PQ 2011 will be again the Section of Countries and Regions that represents works from all performance design disciplines in each country and region in the past six years. The organizers hope that the national curators will have a strong concept that will introduce unique and specific contemporary trends in a given country or region. Works can be presented in a group exhibition, a monographic exhibition of a single artist or an exposition/installation that it itself is performance space. 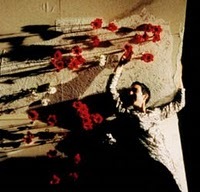 Organizers hope to strengthen presentation in all scenographic disciplines at the PQ 2011 and relations among them. Fifty-one countries from five continents took part in this section in 2007. Like in the previous years, vast space will be dedicated to students of art schools in the so-called Student Section. After great success of the last edition of the PQ, the project Scenofest will strengthen the educational aspect again. It is a common project of the Prague Quadrennial and the International Organization of Scenographers, Theatre Architects and Technicians (OISTAT). The program of Scenofest will consist of workshops, lectures, performances etc. The great interest from the students in the PQ 07 demonstrates the importance of the event; 2.200 students of theatre and art schools took part in it. The Architecture Section will deal with the question “What is a theatre now?”. The section aims to strengthen a dialogue among theatre architecture, stage design and contemporary theatre. It is conceived as a gathering ground for stage designers and other theatremakers with creators of theatre space. The section will focus on all types of theatre space: constructed (built), performed (improvised) and imagined (unbuilt) in the 21st century. Although the exhibition takes place in 2011, the deadline of the applications for the countries and regions which are interested in participating in the PQ 2011 is 30th June 2009. Each country participating in the PQ must appoint its own curator who sends the obligatory application for the individual sections and coordinates the representation of their country in the PQ. Further artistic and organizational conditions of participation in the PQ are stated in the Statute and Concept and can be found at www.pq.cz. Other programs that will address the international public will accompany three exhibition sections of the Prague Quadrennial. Programs are designed to create a platform for creative exchange between the theatre professionals, students and public. A successful program in the streets of Prague will be repeated, as well as the program PQ for Children. The PQ 2011 is prepared by an international team of professionals. Dorita Hannah, an architect and stage designer from New Zealand was appointed a Commissioner of the Architecture Section. A leading British sound designer Steven Brown became a curator of sound design. Simona Rybáková, Czech costume designer and the winner of the Golden Triga in 1999, is a curator of a costume project Extreme Materials. American lighting designer Cindy Limauro will lead Scenofest. A German director and theatre researcher Thea Brejzek was appointed the curator of theory. A Czech stage designer and director Tomáš Žižka is in charge of a project focused on African theatre. An interactive installation/performance called Intersection will be an important part of the PQ 2011 with many international partners. The whole event will be accompanied by a rich program composed of lectures, presentations, discussions, costume shows, meetings and theatre performances. A Slovak stage designer Boris Kudlička is the General Commissioner for the Prague Quadrennial 2011. Kudlička works mainly for opera, ballet and film. He has collaborated with many leading scenes in Europe and the USA and important directors and conductors like Mariusz Trelinski, Roman Polanski, Keith Warner, Dale Duising, Kent Nagano or Placido Domingo. Boris Kudlička has taken part in three editions of the PQ and he won the Golden Medal for the best use of theatre technology in 2007. He also received Dosky 2003 award, Norwid Award (Polish Theatre Institute), the Award of the Minister of Culture of Poland Gloria Artis. The core of the PQ management is Pavla Petrová – Director, Sodja Zupanc Lotker – Artistic Director, Daniela Pařízková – Deputy Director and Petr Prokop as Head Manager. The place and date of the PQ 2011 will be announced during 2009 because the left wing of the Industrial Palace that hosted the PQ in previous years was destroyed by fire in October 2008.